The Heart Link Network was created by Dawn Billings in 2009 and originated in California. 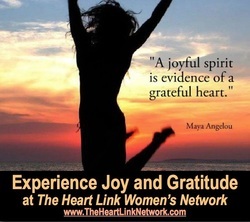 Today The Heart Link Network is an international organization supporting women with over 200 chapters and growing. I am so proud to serve as the Ambassador for Virginia and to be a pioneer Chapter leader in Virginia. I established the first Heart Link Network chapter in the Shenandoah Valley in November 2011. I have led monthly meetings each month since that time. I have been immensely blessed by the women who attend the meetings. Women from all walks of life and business backgrounds gather together to share their businesses and to share their passions and their hearts. Incredible connections and friendships blossom each month at the Winchester Heart Link Network meetings. The Winchester Heart Link Network meets in the evening on the Second ﻿Thursday ﻿each month and during the day on the Third Tuesday each month. Registration is required to attend, the meetings are company exclusive. I prefer to keep the capacity of the meetings to around 12-15 women although there have been some months when we have squeezed in up to 20 women! Our networking is unique and unlike any other networking model you may find. We are all about building the relationships that lead to referrals and increased business. Each woman attending is given three minutes to showcase her business. There are no guest speakers....everyone has equal status at our meetings.